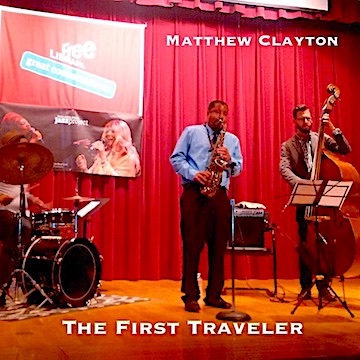 In early 2014, Leo Gadson of Producers Guild, Adam Feldman of the Free Library of Philadelphia and Homer Jackson of the Philadelphia Jazz Project met to discuss a new concert series. 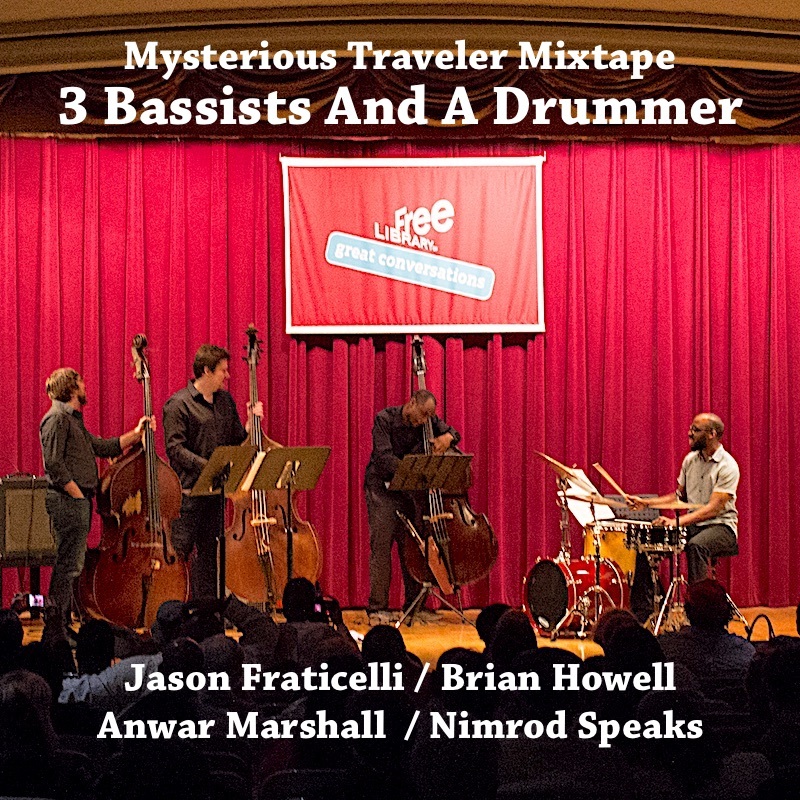 It was called the Mysterious Traveler Concert Series. The series presented monthly concerts from September through May, showcasing young and not so young, Philadelphia Jazz artists. The name of the series emphasized the need for these highly talented artists and the general public to get acquainted, making these strangers no longer mysterious, but friends and fans. Probably most important, these concerts were be free to the general public. You didn't have to be a hipster or a Jazz expert to attend. You just had to show up and enjoy yourself. 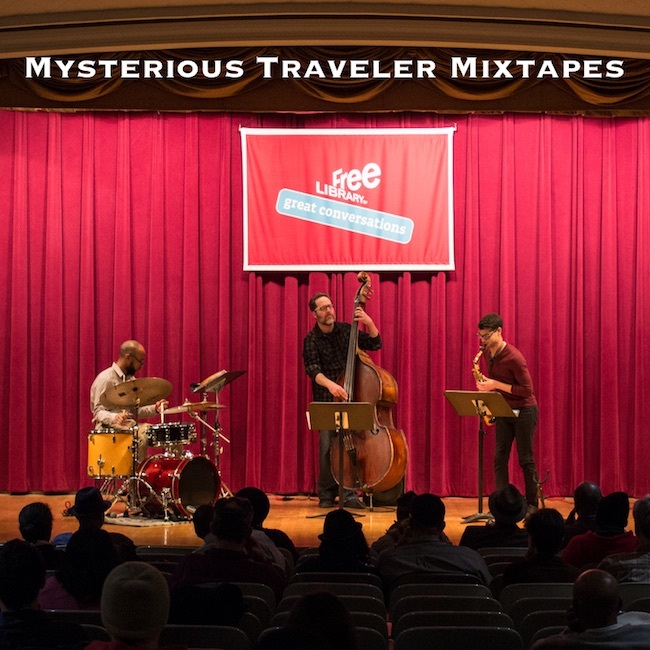 If you attended just one of the Mysterious Traveler Series Concerts, or were unable to make any of these events, we have a chance for you to still enjoy some of the magic that occurred on those special evenings. 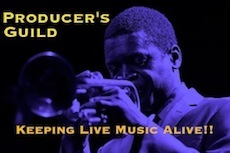 We recorded many of these concerts and have compiled a series FREE MIXTAPE SERIES for your enjoyment and study. To download, click the download links below, when page with audio appears, let it download to your browser and then go to File/Save Page As... Be sure to save file as mp3. 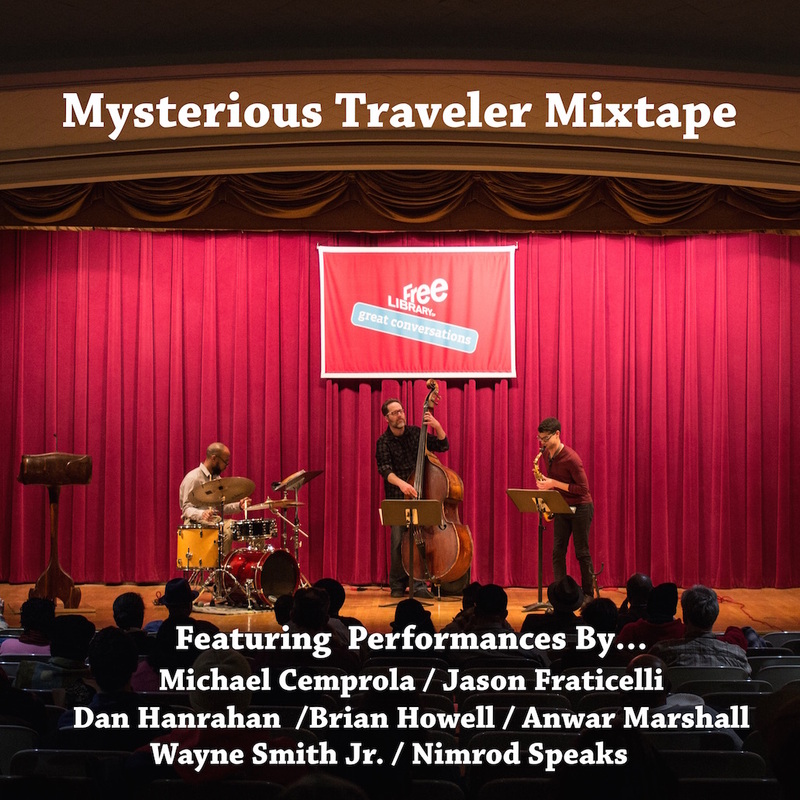 We would like to extend a special thanks to all of the artists who have participated in the Mysterious Traveler series. Thanks to Perry Genovisi and Adam Feldman of the Free Library of Philadelphia, as well our Montgomery Auditorium sound engineers, Evelyn Flint and Paul Bednar. Their tireless dedication to this project has truly been a humbling experience. Additional thanks to PJP staff, Julia Lopez, Melissa Talley Palmer, Gail Fountaine, Stephanie Seiple, Sound Engineers, Shevinah Johnson and Eugene Lew, Photographers, Brittany Mason and Gotography, as wella as our many gracious volunteers.